What is a Crummy Welding Fixture? 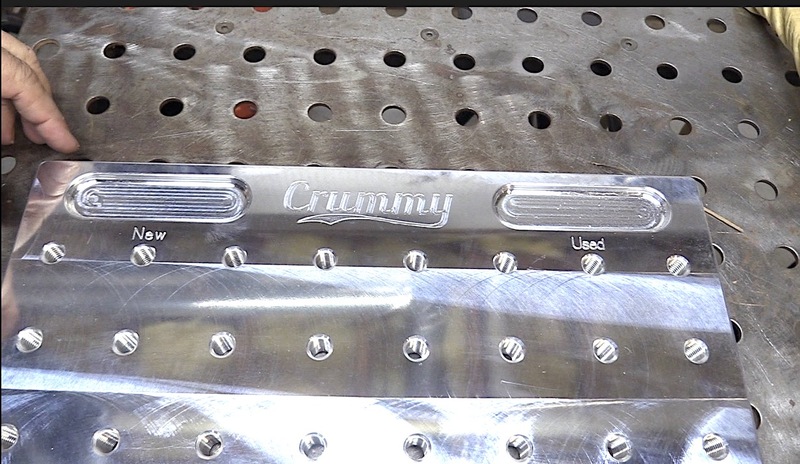 My friend Roy Crumrine was nicknamed “Crummy” growing up and so he named his welding business “Crummy Welding” and is @crummywelding on instagram. Roy was already a regular contributor to my forum (forum.weldingtipsandtricks.com) but I first met Roy in person at a Sun n Fun event in Florida back around 2011. I was there to give a talk about tig welding 4130 chromoly on behalf of Miller Electric and Roy and his then fiancé Sarah stopped by the Miller tent to chat for a while. Roy showed me some pics on his phone of some of the work he had done and I kind of just knew at that moment that he and I would somehow work together someday. Over the years Roy, Jonathan, and I have all done numerous side hustle jobs. Most of the stuff I remember welding as a side hustle was small parts for small machine shops where having a small fixture plate to work on would have been a really big help. 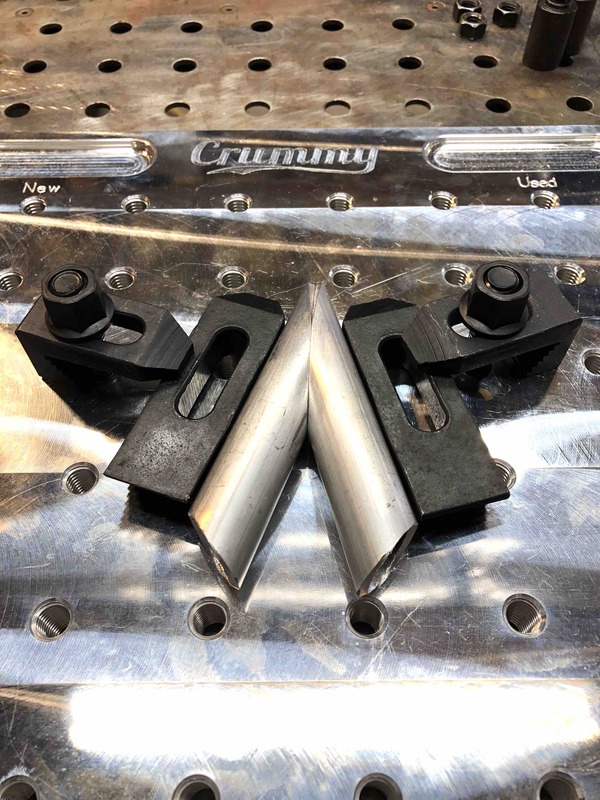 So Roy decided to test the market on instagram and see if there was enough interest in an aluminum fixture plate to make a short production run of 20 or so crummy welding fixtures. Not surprising at all but Roy got a lot of interest and has received orders for quite a few of his crummy fixture plate.I am super glad I ordered one. 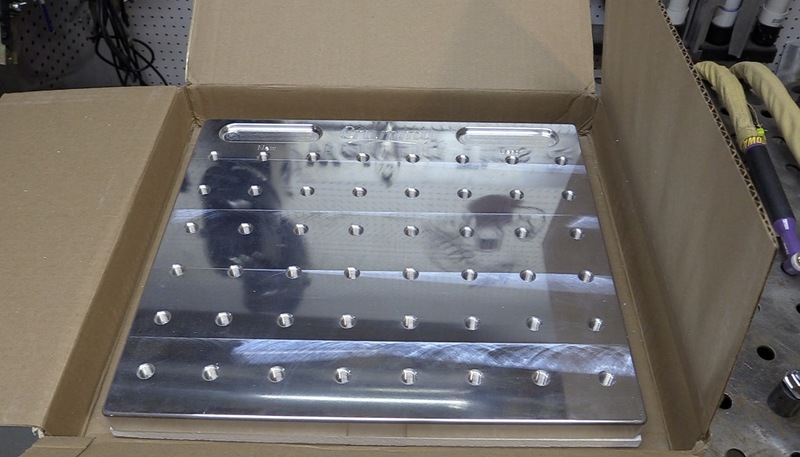 This Crummy Welding Fixture Plate is made from 6061 aluminum Size is 14”x16”x.950 so its darn near an inch thick, and has 1/2” x 13 holes for using standard Bridgeport mill type hold down hardware. 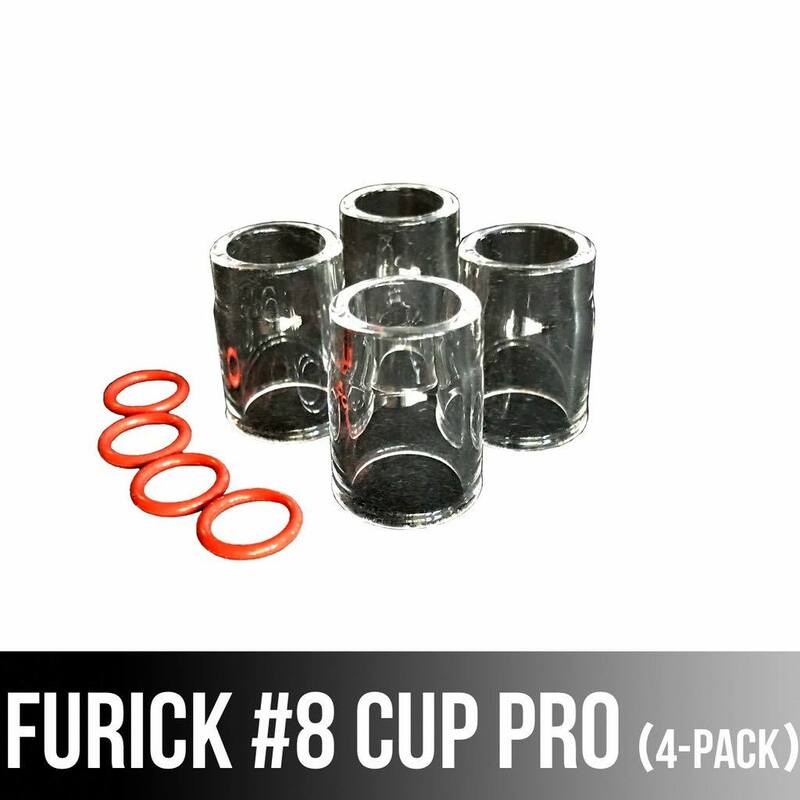 I order a simple hold down kit from Amazon for around 58 bucks and that is what I used in this video . In my opinion, the main benefit in a fixture plate like this to setup fixture for repetitive tasks like tack welding sub assemblies. 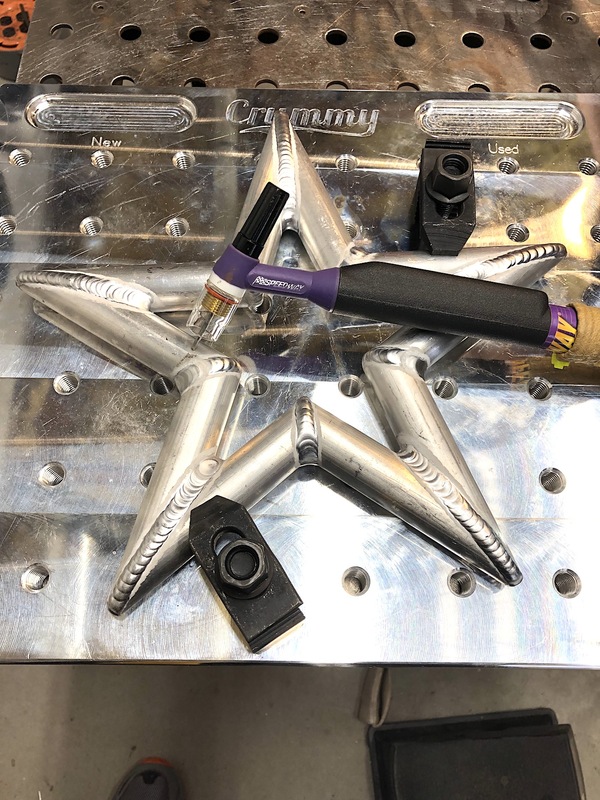 In this video I was using am aluminum tubing Christmas tree star kit that I ordered from from precision tube laser to demonstrate the usefulness of modular fixturing in tack welding several sub assemblies. Having a super flat thick surface made tack welding and holding the finished start a breeze. And This fixture plate also has slots to keep sharp and used tungsten electrodes. 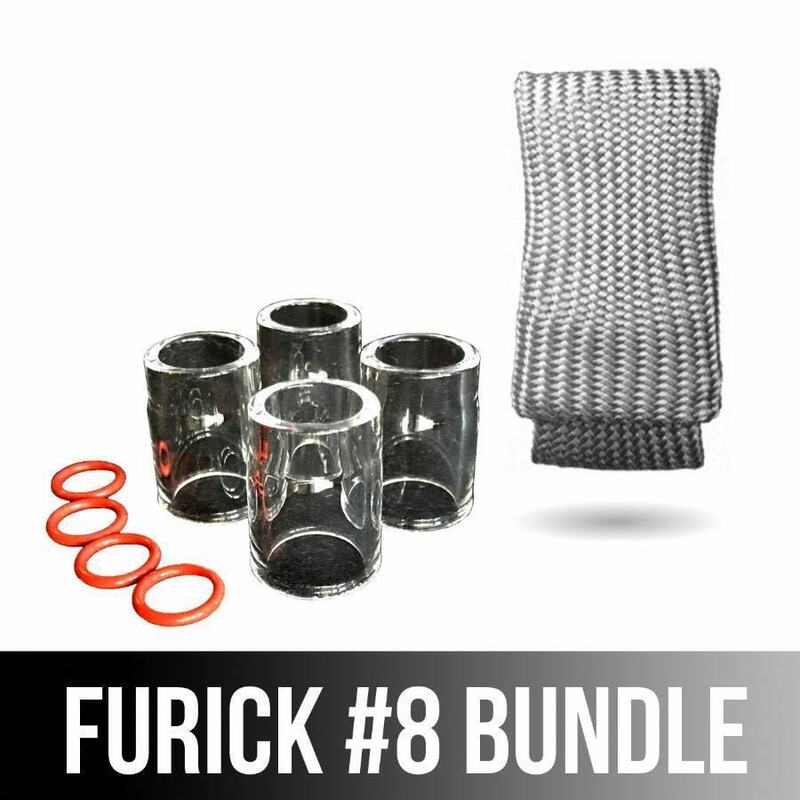 If you are interested in getting one, you will need to go to instagram and send @crummywelding a DM. There is a very cool welding community on instagram and I am glad I started using it a few years ago. And By the way, I am @weldmonger on instagram so if you decide to try it out, give me a follow.